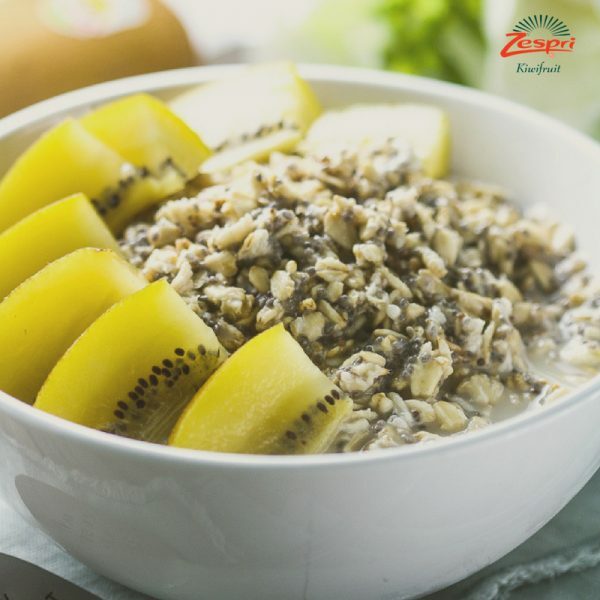 Power up for breakfast with this SunGold Kiwifruit Breakfast Power Bowl. 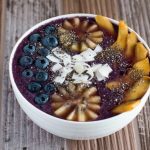 It is super easy to make and is great for people who like to prep the night before to save time in morning! Combine oatmeal, whey protein, probiotic dairy drink, milk, and chia seeds in a bowl. Cover and refrigerate overnight. 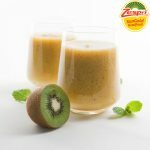 When ready to serve, top with kiwi fruit wedges.